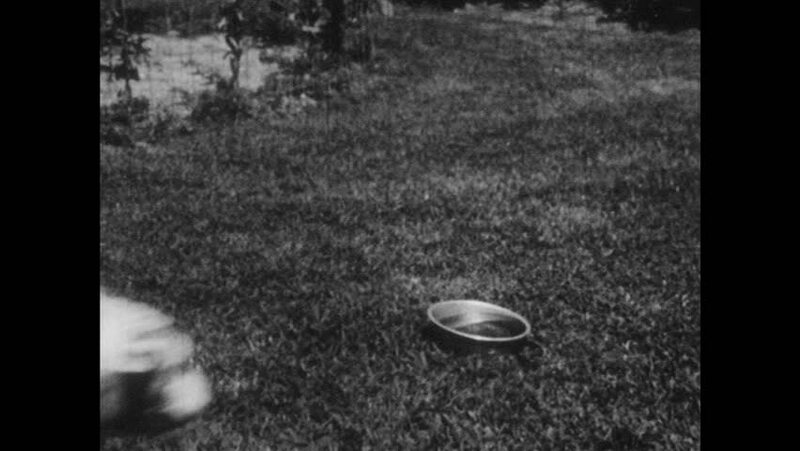 1950s: Dog wags tail, eats from bowl. It runs up driveway, other stands on sidewalk. Boy calls it. Ot wags tail and barks playfully. Toddler reaches through picket fence. Boy waves stick. 4k00:211930s: UNITED STATES: view of road from car windscreen. Mountain road journey. Road trip in mountains. sd03:571950s - Atomic blasts from the point of view of the aircraft dropping. hd00:311950s: Timber industry workers topple a tree and haul logs in Alaska in 1951.